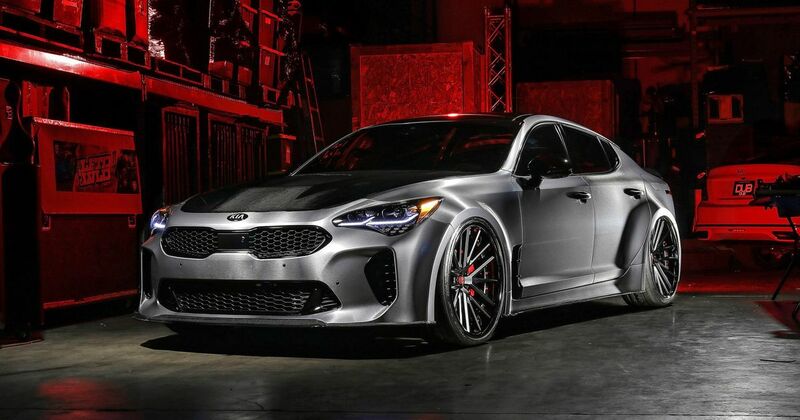 This outrageous-looking Kia is a Stinger that’s been modified quite a lot. 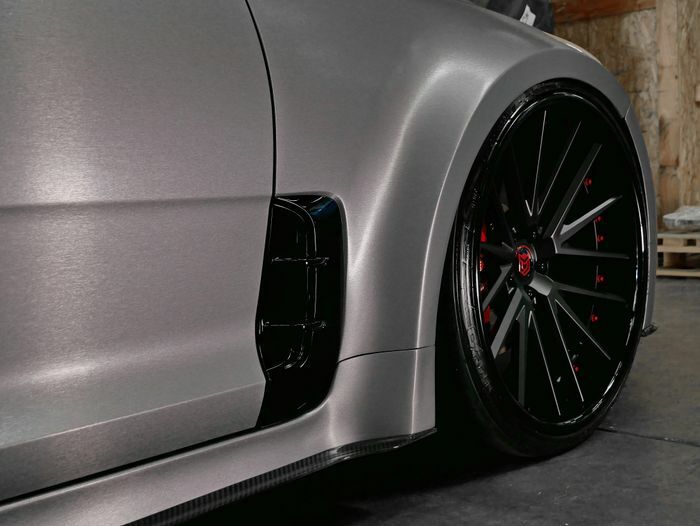 The DUB Stinger sits on Dropstars 22-inch alloy wheels barely contained by seriously flared new arches. With zero gap between tyres and arches it looks practically motorsport-spec. It actually rides on height-adjustable air suspension, so it really could handle the road if it needed to. Powering it is the standard 365bhp 3.3-litre V6, albeit wit some cosmetic add-ons to make things a little spanglier under the bonnet. The brushed steel finish suits it perfectly. Among the new panels are the rear doors, which have to curve massively in order to shape to the new arch dimensions. You’ll need to brace before looking at the interior. There’s so much red leather over the mix of black leather and black suede that it’s a bit like stepping into the wrong bar in Amsterdam. Out of shot there’s a powerful aftermarket stereo system controlled through the Stinger’s normal interface. What say you, CTzens? 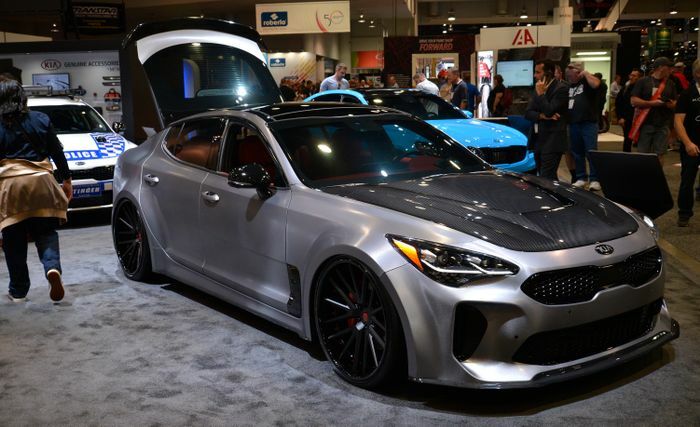 Is this the Kia that takes the company to new heights of desirability, or are you just not feeling it?